Wireless headphones are nothing new or unseen, but since Apple frightened us with an idiotic decision to remove the 3.5-mm audio connector from their cell phones, it became clear that we would have to pay them much more attention. As reviewers but also as future users. So we’ve gathered everything available on the US market, checking out what’s worth the money and answering all questions – whether it’s fun or not to listen to wireless music. You can think of whatever you want about Apple, but one thing we can not argue with – the company sets trends and changes rules that were previously considered unchanging – eliminating the headphone connector is the best example. Although criticized by nearly all of the world’s media, the most influential tech youtubers and millions of users the only thing that has happened is that Apple’s example began to follow almost all other mobile phone manufacturers. Although the 3.5mm connector will not be extinct because it is used on other devices than just mobile phones – almost every other device that can produce sound – the fact is that we will see it less frequently on mobile phones in the future. By purchasing a suitable adapter wired headphones can still be connected to phones without a 3.5mm connector so they can be plugged into a USB-C or Lightning port. This means you will not necessarily have to replace your existing model especially if you are completely satisfied with it. However, when purchasing the next headphones you will probably want to be wireless. A simpler connection to mobile phones without a 3.5 mm connector is just one reason. After a few days of use it will become clear to you that the lack of wires between the head and the pocket is a great and very liberating thing. There is no concern that you will be crammed into objects around you and there is no risk that your cell phone or headphones will fly on the floor in case you pull them off with some garment. Caring for the battery can be tense but this aspect in practice is not as awesome as it sounds. Namely, virtually all wireless headsets available today on the market can offer 10 or more hours of playing on a single charge. In other words they can withstand a one-way flight but also the entire week of public transport on the way to school, college or job and back. Let’s not forget that almost every wireless headphone model can work in a wired mode that does not require a battery so this can be a handy solution if the battery is empty. Before we go over to the descriptions of the wireless headsets that we have gathered in this comparative test (about thirty) we will address the issue of wireless sound quality, remind you of the types and performances of the headsets and the great functional and practical difference between them and overturn (or confirm!) some of myths from the world of music enjoyment. Explain to me immediately – do the wireless headphones have the same, worse, or better sound than the wired? The assumption that wireless headphones sounds worse than wired originates from the time when they used older versions of the Bluetooth, which greatly compressed the sound signal to transfer it successfully (without interruption) to the receiver in the headphones. In the newer era, the Bluetooth 4.1 and 4.2 standards, whose bandwidth is higher (24 Mbit/s), are far better, energy consumption is more rational, and the overall sound reproduction is far more favorable. For example, the sound in “CD quality” has a bandwidth of about 1.5 Mbit/s. In the last year Bluetooth 5 is presented, which continues to improve all aspects of this technology, but for now has not yet widely used in headphones and sound sources (cell phones, laptops, line streamers etc.). If we have two identical pair of headphones, where one are wired and the other are wireless, and we play the high definition song from the same sound source, then the wired headphones sounds better. The reason is simple – it is not necessary to compress the signal when the sound is transferred over the wire. However, in practice this will almost never be the case. We live in times when music is listening from the services like Deezer, Spotify, Play Music, Apple Music and YouTube. The highest quality audio signal available at these locations is completely “portable” over Bluetooth. In other words – in this case you will not hear the difference between the wired and wireless connection with the sound source. In addition, one should keep in mind where wireless headphones are used: on a bus, train or plane, on city streets, in cars, on the beach, in the gym – all places where your surroundings will not be silent, thus insisting on audiophile sound quality loses meaning. If you are an audiophile and want the headphones with which you will enjoy your home collection of albums in FLAC or vinyl, then you will definitely want to buy the wired earphones. For anyone who buys the headphones for motion on the go their wireless feature will not be a limiting factor in achieving maximum performance. You will be most convinced when connecting your cordless headphones to the sound source with wire – and you realize that you do not hear a big (or any) difference in the sound quality. You want to say that wireless headphones can also be used as wired? Not always, but often. The vast majority of wireless headphones have 3.5mm (or less, 2.5mm) connectors and come with a cord that turns them into wired headphones for about two seconds and connects to sound sources like any other wired headphones. This feature is implemented so that wireless headphones can be used when the batteries are empty. Some wireless headphones do not have the capability to connect to the cable so discharging the battery in their case indicates the end of the music listening. Is the battery in the wireless headphones replaceable? Not always but is always rechargeable. A standard Micro-USB connector is used for charging which means that you can easily connect them to your mobile charger or the nearest free USB port on your desktop or laptop computer. Charging the battery from empty to full charged does not usually last more than three hours. Is there a way to extend the battery life of my wireless headphones? Yes – use them at a lower volume. Listening volume directly affects battery life. You should adjust the sound volume at the maximum available value on the sound source as this will allow you to use the headphones at a lower volume level. All cell phones allow “Bluetooth volume control” within their system menus or simply by pressing the volume keys after Bluetooth connectivity with the headphones is established. Is Bluetooth the only way to connect wireless headphones with sound sources? Not the only one, but the most widely used. Some headphones use a radio connection to their base station which is connected to the sound source. Indeed, Bluetooth connectivity also works over radio waves so this definition is not accurate enough. If you see headphones labeled RF it means wireless but not using Bluetooth. Such models are intended for home use only and the main advantage over Bluetooth is their range which is can be from a few tens to one hundred meters. It means we can move freely around the room and still enjoy the music . The main drawback is the limitation to one place of use and one source of sound. As you connect the Bluetooth headset neatly to all your cell phones, laptops or tablets – RF headphones will only work with the device with which their base or receiver is connected. A good example of RF headsets are wireless gaming headsets. They always come with a USB receiver, which we need to plug into a free USB port on your computer and such a headset is connected immediately. What is the range of the Bluetooth headphones? About 10 meters according to specification and in practice it will vary from headphones to headphones. We have not encountered any of the situations that it was not enough for a smooth audio transmission if the sound source (cell phone, tablet, and the like) is in the pocket or backpack and the headphones on the head. Generally, you can count on that music in your Bluetooth headphones will be audible as long as you are in the same room as the sound source. A wall or a window glass between the Bluetooth headphones and the sound source will usually result in crackles and the sound interruption – a sign that you are out of range. How do the headphones can be classified regarding to their purpose? Bluetooth headphones can in principle be divided into classic and sporty. 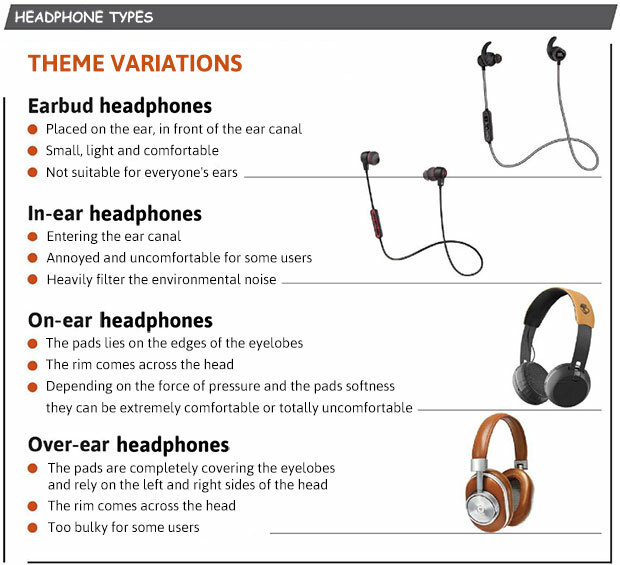 The basic difference is that the classics are usually comes in a closed version and for the sake of greater enjoyment in music try to block the outside noise (passively or actively) as much as possible and with a sporty headphones emphasis is on the resistance to falling from the head so they often have some sort of mechanism for the additional attaching to the ears. We could say that sound quality alone in sports wireless headphones is less important than some other features, such as attaching to the head, sweat resistance and similar. Finally we have the aforementioned RF headphones intended exclusively for home use where comfort, sound quality and range are the most important features. What additional features wireless headphones have? Models that are connected with audio sources by Bluetooth connection regularly offer the function of answering phone calls and making conversations. They function as headsets. One or more microphones are usually embedded in one of the ear shells and are capable of recording our speech. Some models offer the microphone only on the wire that are delivered with, which is far less practical because you probably did not buy them to use it frequently in the wired mode. Why wireless headphones are more expensive than wired? One thing you certainly pay for is comfort and the “modernity” of wireless. Wireless headphones also contain more components than wired. In addition to the battery itself and the Bluetooth receiver, they must have an amplifier and a digital-to-analog converter, which converts the bluetooth output (your song) into an analog audio signal, which speakers in the headphones can play as sound waves. The fact that digital-to-analog conversion is performed on headphones rather than in the sound source also means that the DAC of your source (such as cell phones) will not affect the overall sound quality. Of course, until you connect the headset to the cellular phone when the DAC in the mobile phone again takes over the work of digital-to-analog signal conversion. This is also why someone will convince you that Deezer’s music sounds better when the headset is connected to a cord instead of using it in wireless mode. In such cases, it is only the DAC in the cell phone that is better than the one in the headset. Do I have to pair my wireless handsets again and again with my cellphone? No, the connection is sufficient to be established only once. Each time you turn on Bluetooth on your mobile phone, the headset will recognize it and connect to it immediately after switch-on. Things can be more complicated only if you use the same headset on a large number of devices (mobile phones, tablets and laptops, for example), and they can not remember more than one device. Fortunately, all the better models are able to remember more than one device and move smoothly between them. Which other sound sources wireless headphones can be paired with, other than cell phones? Each device that works as a sound source and supports Bluetooth it will be possible to connect to the headphones. Apart from cell phones, we can connect laptops, tablets, smart TV sets, music streamers, car audio systems, and many other devices. If it has Bluetooth and produces a sound will be paired with wireless headsets. Does it make sense to give much money to the wireless headset if I use a mobile phone as a sound source? 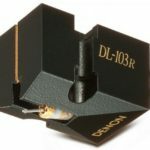 We can hardly answer whether it makes sense, because quality sound is simply not worth the money for someone. However, huge differences in the sound quality between wireless headsets from different price categories certainly exist. In this sense, things are no different than the wired handset. Each pair of headsets, cordless and wireless, comes with its own acoustic signature and interpretation of bass, middle and high tones. The Bowers & Wilkins wireless headphones sound inevitably better than Vivanco’s in absolutely every aspect. Both are wireless – but there is absolutely nothing what we can tell about sound quality except to be able to receive sound without the physical connection to the source. What happens then with it and how ample it will be in our ears, depends solely on the acoustic characteristics of the headsets itself. I heard the sound of the headphones improves over time. Is that true? This process in the world of acoustics is informally referred to as “running in”, and applies to speakers and headphones. The logic behind the running in is that the speaker diaphragms, like a moving element, need some time to relax after which they achieve optimal performance. In other words, the newly plugged headphones will not sound as good as they can, but will give its maximum only after you use them for a while, and the sound will be improved with each hour. If you follow the instructions from the audiophiles forums, you will find that the time is about a hundred hours, and that for some headphones it may take longer – up to 400 hours. Running in is done with a simpler, louder music release, according to the capabilities that will “smooth” the membranes, like those with a lot of bass. Some go so far as to recommend white and pink noise and the range of other generic sounds of different frequencies. The whole concept of running in the speakers and headphones has always been controversial. 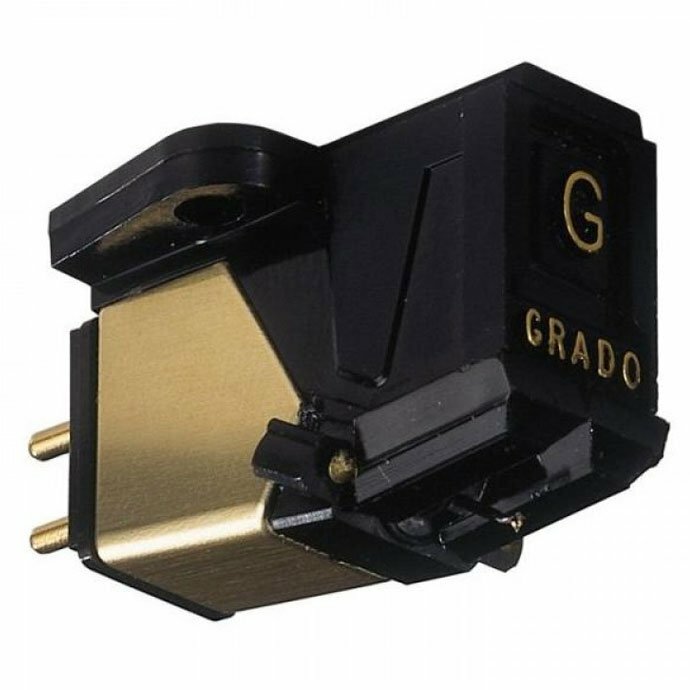 The founder of Grado Labs, the US manufacturer of premium headphones, says that the characteristics of all the devices with mechanical parts change over time and concludes that each headset will reach its final “maturity” after about fifty hours of listening. Measurements of the frequency response of the sound membrane also show small changes in certain parts of the spectrum, but the question is to what extent the ear of the average person can be registered. Of course, there is also the fact that the ears in time are accustomed to the acoustic characteristics of the headphones, which some perceive as an improvement in their performance. The best advice we can give you is – do not expect the headphones with bad sound to become excellent over time. These changes that happen with time, if they are actually heard, are certainly not drastic enough to completely change the sound quality experience.